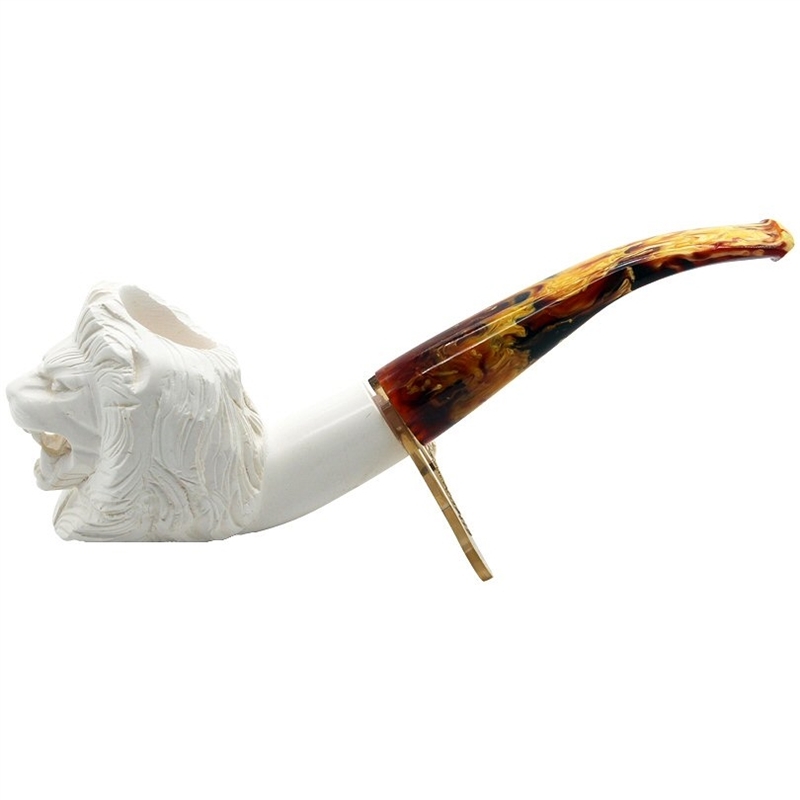 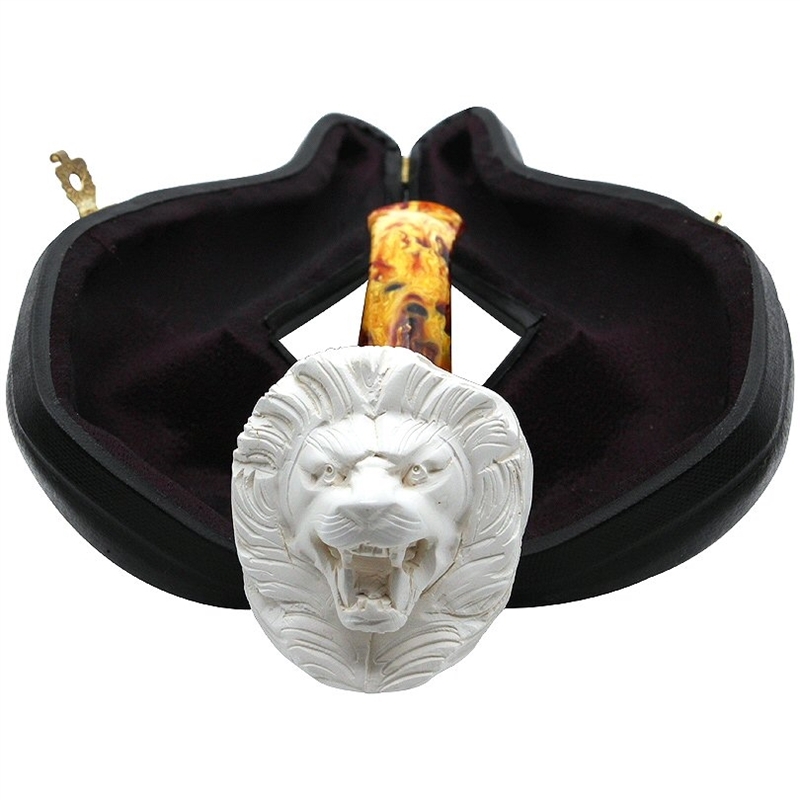 Hand Carved Lion Meerschaum Pipe - The carving of this roaring lion face is framed with a full mane, making the bowl of this pipe extra thick. The smooth shank and striking colorful bent stem add to the boldness of this pipe which is befitting for the king of the beasts. 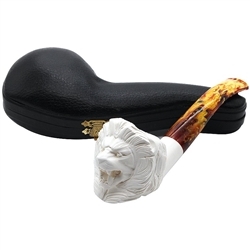 Great collectible pipe for a Leo or any pipe smoker.